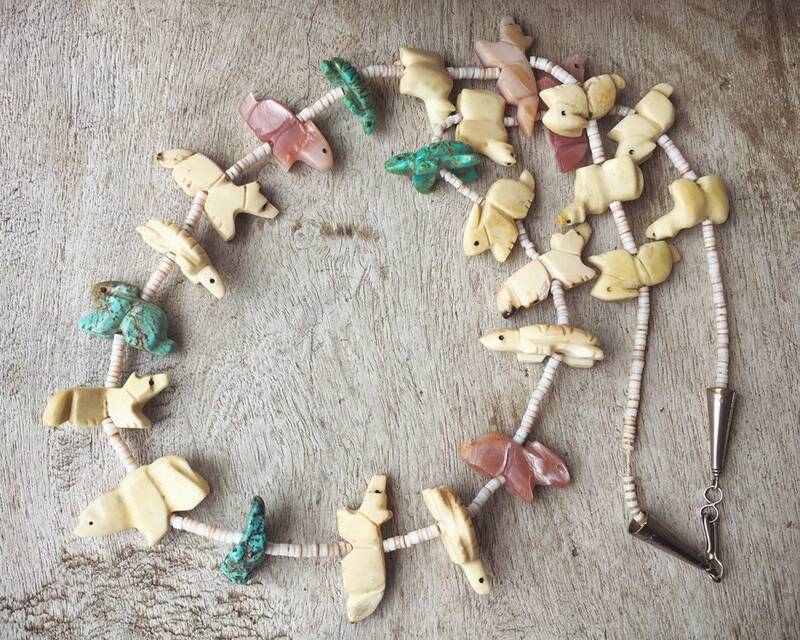 This vintage animal fetish necklace is made of pen shell heishi beads and 23 hand carved animal fetishes. Each fetish is different. 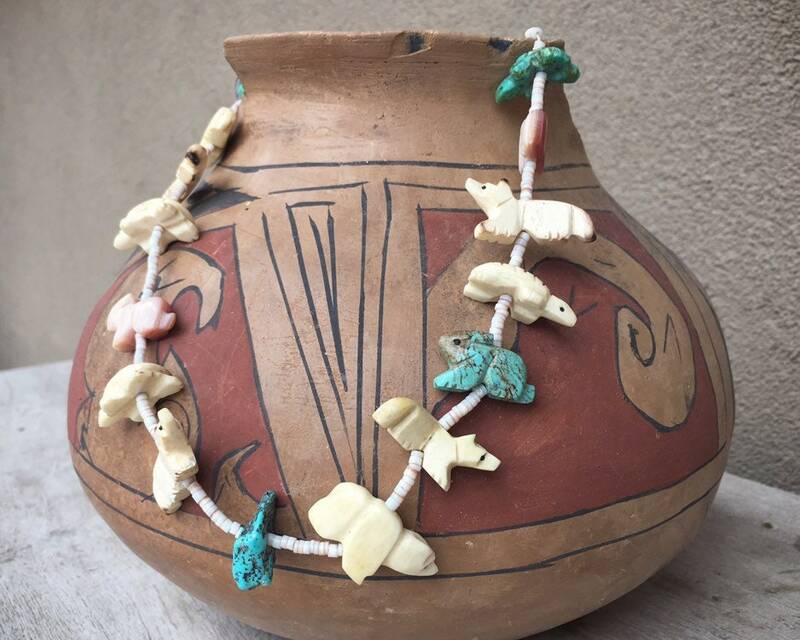 The main pendant at the bottom is a nugget of turquoise, likely from the Lone Star mine. The piece is older, which we can tell a couple of ways. First, the fetishes themselves. Today fetishes are often machine made and are quite perfect and repeated. 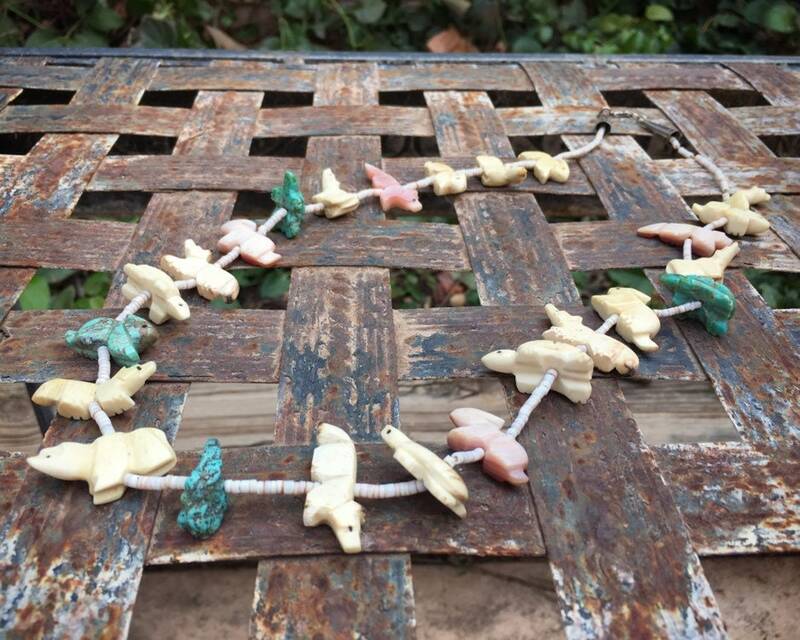 The fetishes in this necklace, by contrast, are each unique, none exactly like the other. The bears and and some of the wolves or badgers are also articulating or curved with necks extending out as if in movement. 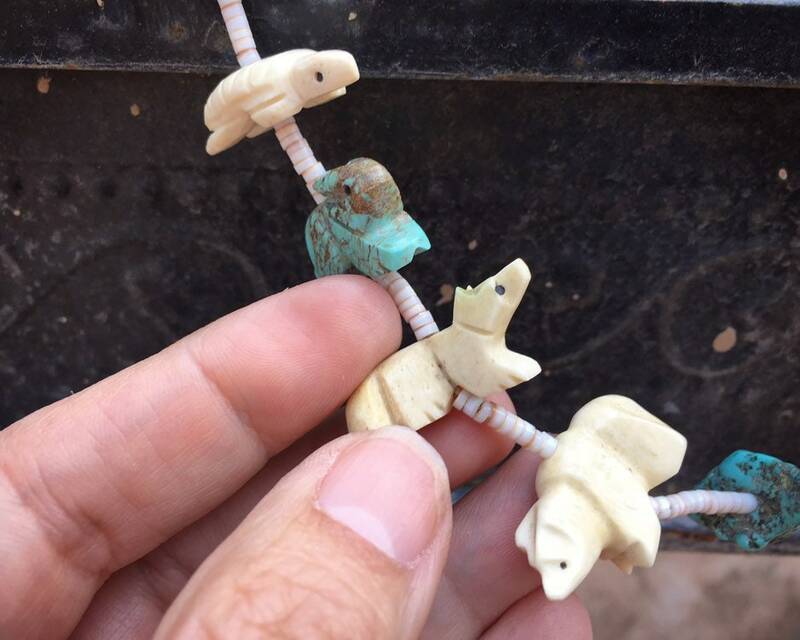 Three of the animals are carved from turquoise. Four are carved of pink mussel shell. 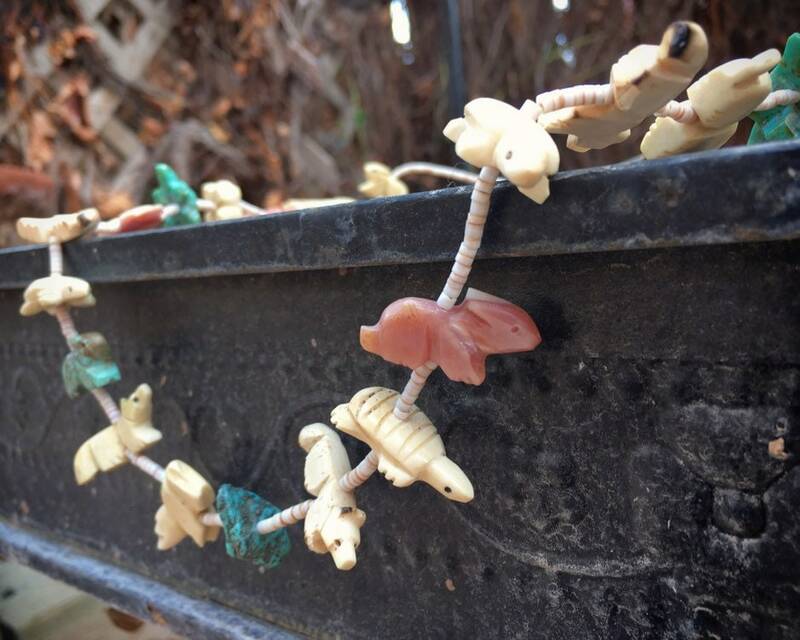 The main light colored fetishes are fossilized ivory with coloration influenced by the areas where they would have been found. 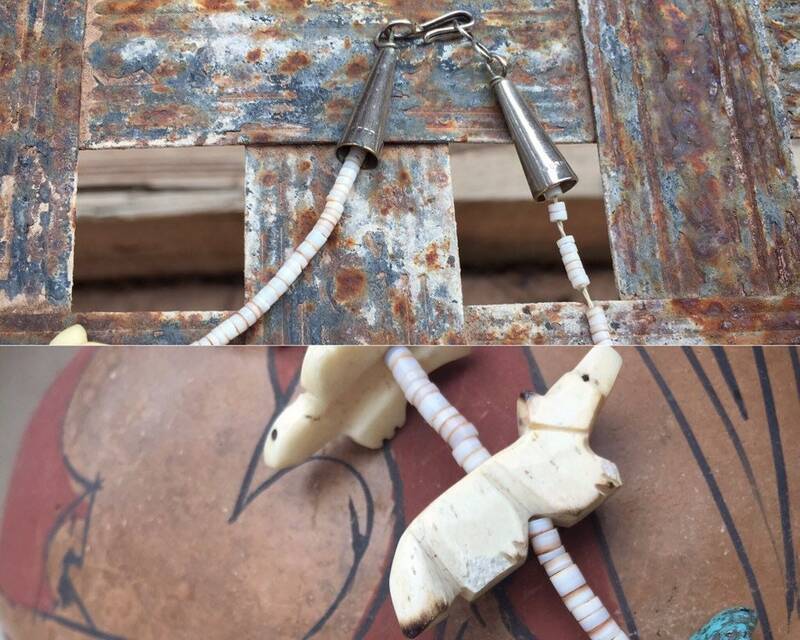 The twine on which the necklace was strung has stretched from wear and age, and there are gaps at the top which you can see in Photo 5. You can also in that photo see that one of the fetishes is chipped. We believe this is circa 1960s to 1970s, possibly by Pete and Dinah Gaspar. 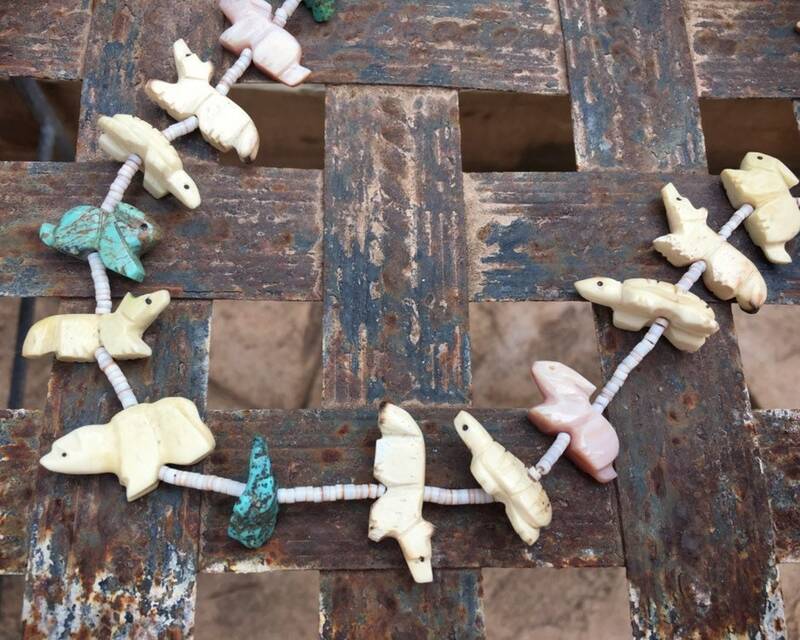 The necklace measures about 26" long from clasp to clasp, so plan on about 13" length when worn. 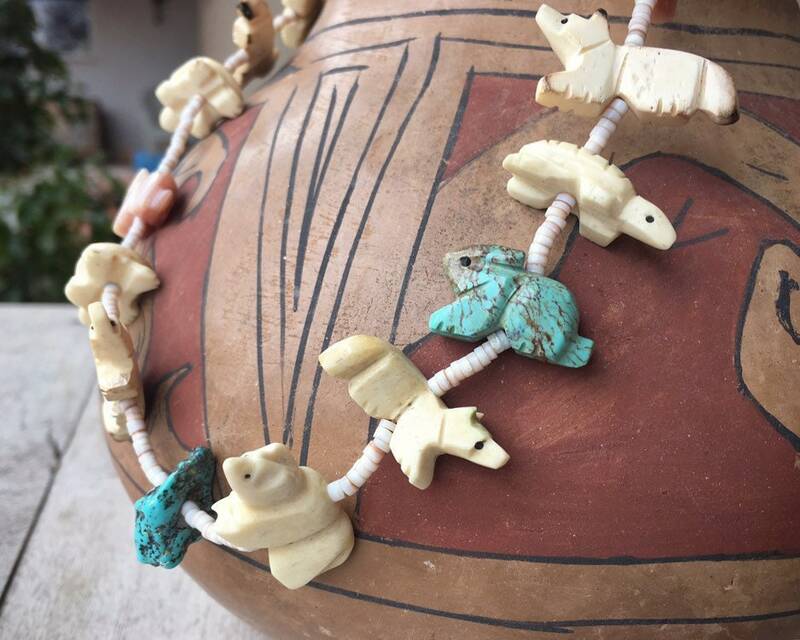 Largest animals are just over 1" wide by about 5/8" tall, and the animals are graduated whereby they get smaller as they move up the necklace towards the neck. 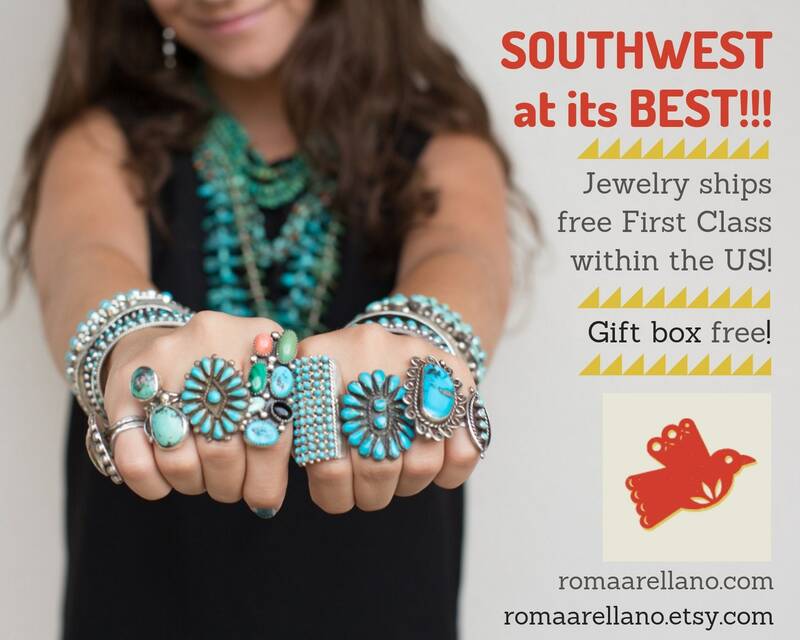 For the person who loves animals and the Southwest.